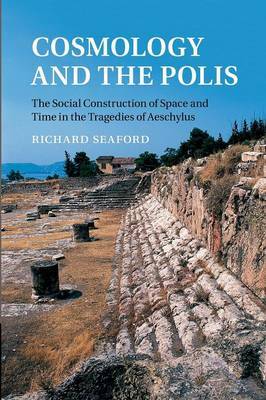 This book further develops Professor Seaford's innovative work on the study of ritual and money in the developing Greek polis. It employs the concept of the chronotope, which refers to the phenomenon whereby the spatial and temporal frameworks explicit or implicit in a text have the same structure, and uncovers various such chronotopes in Homer, the Homeric Hymn to Demeter, Presocratic philosophy and in particular the tragedies of Aeschylus. Mikhail Bakhtin's pioneering use of the chronotope was in literary analysis. This study by contrast derives the variety of chronotopes manifest in Greek texts from the variety of socially integrative practices in the developing polis - notably reciprocity, collective ritual and monetised exchange. In particular, the Oresteia of Aeschylus embodies the reassuring absorption of the new and threatening monetised chronotope into the traditional chronotope that arises from collective ritual with its aetiological myth. This argument includes the first ever demonstration of the profound affinities between Aeschylus and the (Presocratic) philosophy of his time.